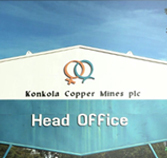 Konkola Copper Mines plc (KCM), one of Africa's largest integrated copper producers, is a subsidiary of Vedanta Resources Plc, one of the world’s largest diversified natural resources companies. 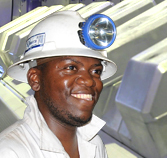 To be a world class integrated copper producing company leveraging mineral and human resources to enhance stakeholder value and be the pride of Zambia. 15 minute delayed share price from London Stock Exchange. Defying all odds: Evans pursues school beyond normal age! A tale of Winding Engine Driver’s medical treatment!